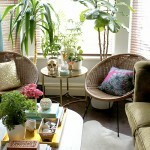 Now that Spring is officially here, I’ve started to satisfy the urge to surround myself with lots of greenery. 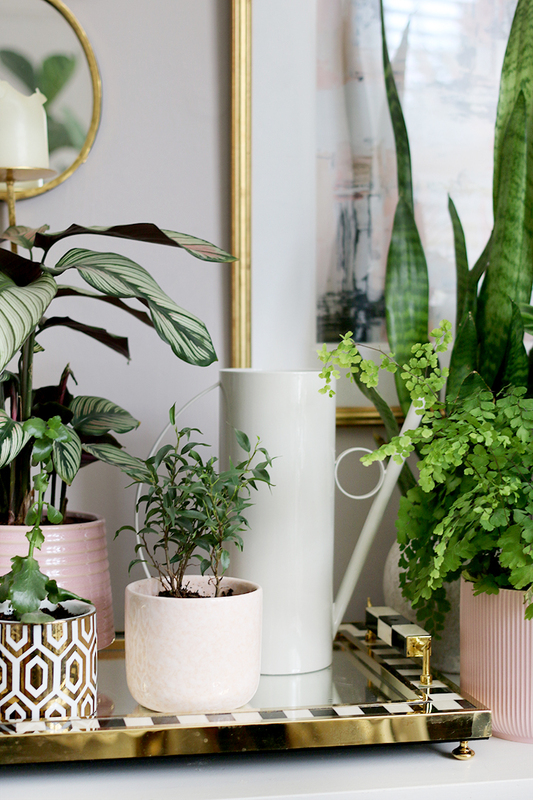 I absolutely adore how house plants add a certain bohemian and organic texture to my rooms and have done for a long time now and that love has never really faded. 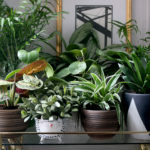 While I always tend to have a few fatalities over the winter months (the dryness of indoor heating and lack of sunshine never helps), in the Spring, I desperately want to restock and add a few new varieties to my spaces. Oh, I’m not the greenest thumb around, let’s just make that clear. I try and fail with plenty of plants but I’ve gotten a bit better over the years keeping my plants alive. One reason for that is because I tend to water them on a more regular schedule these days for a very simple (rather embarrassing) reason: I no longer have to trudge outside to get the watering can from the shed (were there most certainly were spiders waiting to dive on me), bring it inside, fill it up, water my plants and then return it to the shed (where, again, the spiders are). Yeah, I realise how dumb that sounds, believe me, but it was an inconvenience and so my plants would pretty much be on their last dying breath before I’d remember to water them. I just figured watering cans are ugly and so I didn’t want one taking up room in my home and I certainly didn’t want to leave it out in the open or taking up precious space in a cupboard somewhere. At the time, there really wasn’t much in the way of cute or pretty indoor watering cans. There were just awkward ugly plastic ones. But now? Oh now, there are plenty that I love and that I wouldn’t mind leaving around for all to see. This post may contain some affiliate links which means if you click on my link, I may earn a small commission from the brand as a thank you for the referral. You’ll never pay more for clicking these links. The one I currently own I got a few years ago from Made and happily, they still sell it. 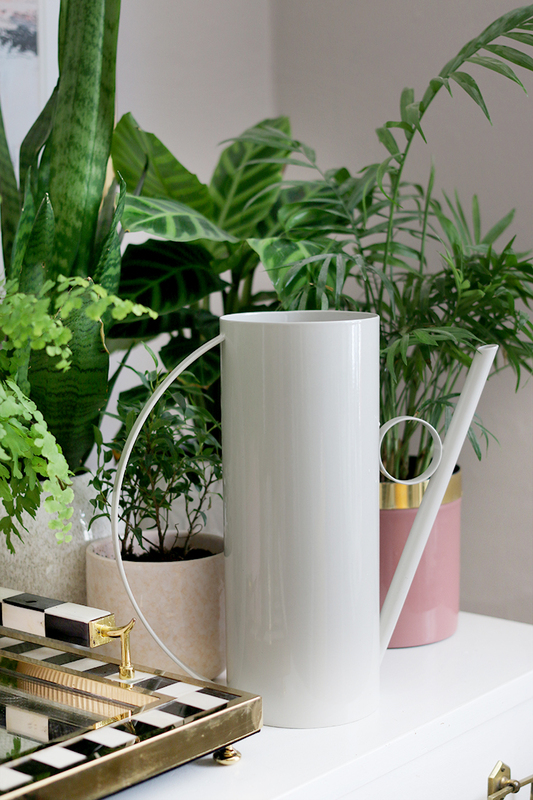 It’s just so sculptural and pretty so I’m happy to leave it out and about but I think I might just get another indoor watering can for upstairs so then there’s no excuse for me to neglect any of my plants ever. And so, as I was searching around for a new one, I figured I’d share some of my favourite finds. 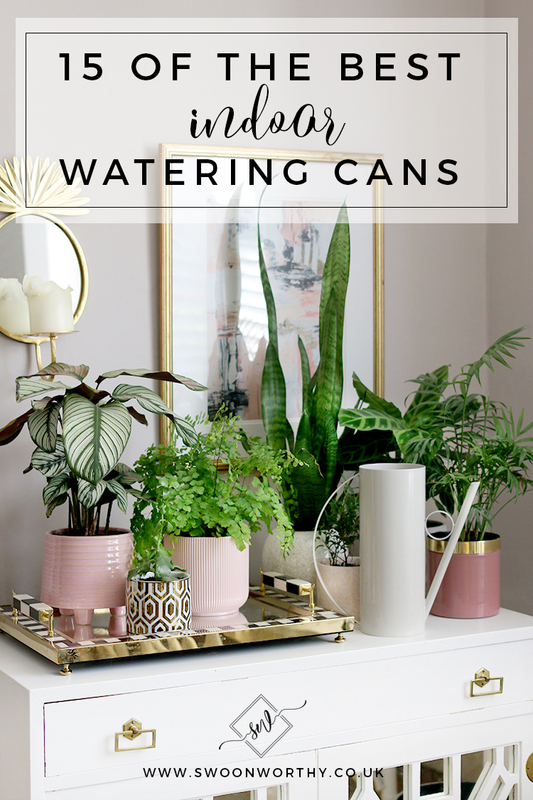 There is just so much choice nowadays so I figured I’d share my favourite 15 indoor watering cans just in case you mistakenly thought as I once did that watering cans are inherently ugly – these are all rather gorgeous, come in all sorts of shapes and styles and there’s something for every budget. See what I mean about how much gorgeous choice there is nowadays? I simply have no excuse now for neglecting to water my plants. Does that mean I can decide which one I like best? 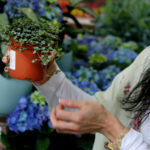 Does it heck but I am rather taken by the Ursula from Anthropologie as well as that gorgeous pink one from Garden Glory. Which one is your favourite and do you own a cute watering can yet? Do let me know if I wasn’t the only one who didn’t realise how many gorgeous ones are out there! 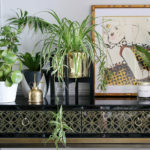 I love those gold metallic watering cans, although the white one from Made is stunning for a more modern home. Great picks! Kimberly you’re an absolute star!! I’ve never thought of buying a watering can that looks good out on display – I’ve now bought the Ehlo from Amazon in both grey and yellow (one for upstairs and one for downstairs). Fab roundup of gorgeous watering cans! My favourite is the Anthropologie one, I’d buy it if I hadn’t just recently bought a gold one from M&S. Lovely selection but my favourite is Haws Classic Can (1 Litre). It might be old and boring in the UK and that’s why it didn’t make your list but when I first saw here in Sweden I just fell in love with it, I had never seen such a beautiful watering can! It’s also the most functional can I’ve ever used; that curved spout has an amazing reach. I chose a cream one and it makes me happy every single time I look at it or use it! It also comes in a stunning copper version. Just what I have been looking for the Easter present. Thank you!